Being a tow truck driver is hard work with all the chaining up to do. 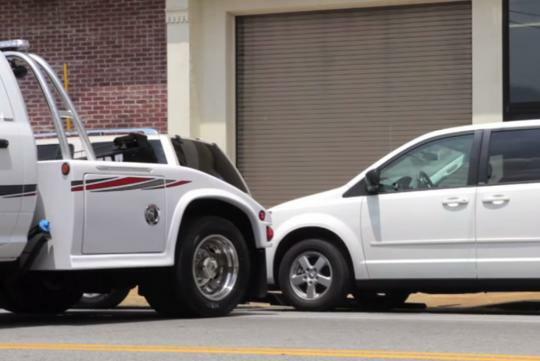 But if you have do happen to have a Vulcan 812 Intruder II, chances are you won't even break a sweat because this cool tow truck seems to be able to tow the car you want no matter how it is parked in the comfort of the cabin. According to its makers, Miller Industries, it has a lot of helpful and innovative features such as the new impact resistant composite modular body that is available in carbon steel or aluminum, new tailboard for better viability and easier hookups, hose tracking changes to provide longer hose life and many more. Instead of stating more of what it has, why not head over to the video and see for yourself!